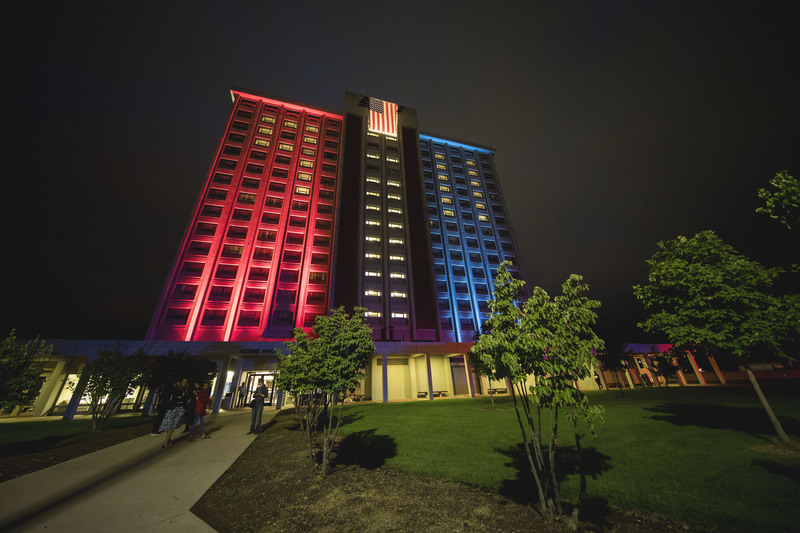 It's been 17 years since the 9/11 terrorist attacks changed the course of American history, but Eastern Kentucky University remembers. During the annual Day of Service and Remembrance at EKU, Colonels reflected on the tragedy, gave thanks for our service members and first responders, participated in a Red Cross Blood Drive, signed Holiday Cards for Heroes and climbed 110 stories in solidarity with the firefighters who lost their lives in the World Trade Center. The photos from this event were taken by EKU photographer Amanda J. Cain and student photographer Carsen Bryant capture the day's proceedings.